Meghalaya Assembly Election 2018 overview: Can BJP end Congress' 10-year stint in the state? The highlights of Meghalaya Assembly Election 2018 -- from suspension of the election in Williamnagar constituency to pre-poll alliances. The Meghalaya legislative assembly election will be held on Tuesday (February 27) against the backdrop of extremist violence that marred the campaigning in the state and the aggressive rhetoric from political parties that are slugging it out to form the next government. More than 18.3 lakh people are eligible to vote at 3,083 polling stations spread across the northeastern state. A total number of 372 candidates, consisting of 32 females and 340 males, will contest for 59 seats in the 60-member assembly. The election in Williamnagar constituency has been withheld after Nationalist Congress Party (NCP) candidate Jonathone N Sangma was killed in a bomb attack on February 18. Garo Hills will see 160 candidates fighting for 24 seats, while there are 99 candidates in East Khasi Hills, 55 in Ri Bhoi, 28 in West Khasi Hills, 25 in West Jaintia Hills, 15 in South West Khasi Hills, and 12 in East Jaintia Hills. The Indian National Congress, led by the current state Chief Minister Mukul Sangma, is contesting in 59 constituencies, while the National People's Party (NPP) have fielded 52 candidates and the Bharatiya Janata Party (BJP) – 47. The United Democratic Party (UDP), Hill State People's Democratic Party (HSPDP), the Garo National Council (GNC) and independent candidates make up the rest of the numbers. The Congress, which has been ruling the state for the last 10 years, appears to be confident of reaching the magic figure of 31 seats to form the next government. On the other hand, the BJP has forged an alliance with the NPP though the parties will take on each other in the elections. The national party seems to be keen on forming the government in this Christian-majority state after coming to power in three other northeastern states – Assam, Manipur and Arunachal Pradesh. However, it is to be seen if it would succeed in ending Congress' 10 years rule in the state. Interestingly, an unlikely pre-poll alliance has been formed between the UDP, HSPDP and GNC with an aim to deny both the Congress and the BJP-NPP alliance from forming the next government in the state. 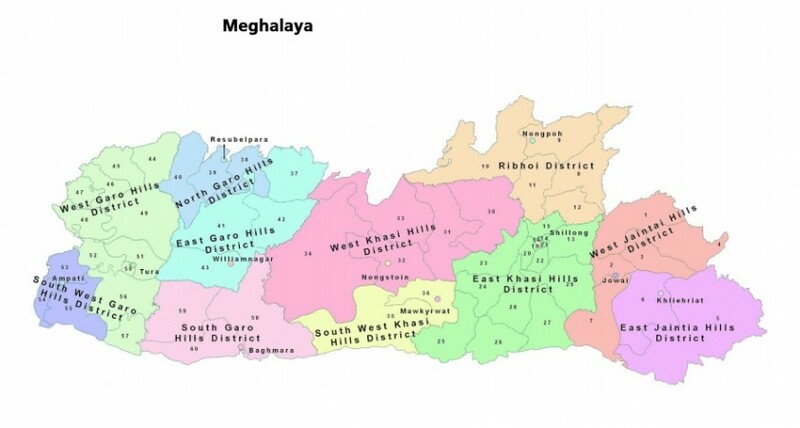 The Meghalaya legislative assembly election results will be declared on March 3.